Complete Assets of Party Rental Store. 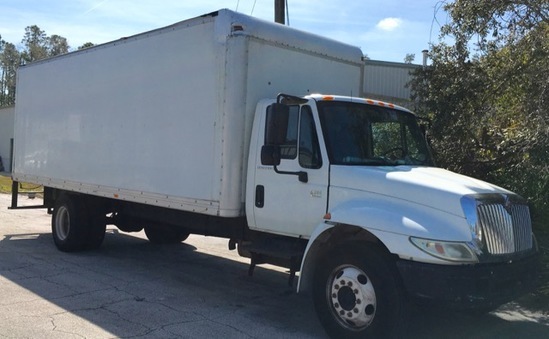 Vehicles, Equipment, Tents, Tables, Chairs, Linens, Dishes, Glassware and More! All items MUST be picked up by Thursday Feb 21st. NO EXCEPTIONS! Important Announcements: All items MUST be picked up by Thursday February 21st. NO EXCEPTIONS! Payment Instructions: If you are the high bidder you will receive an invoice. Payment is by Visa or MasterCard on line only (All sales are final! No Chargebacks!) There is a 16% Buyers Premium. Everything sells to the Highest Bidder, Regardless of Price! Everything sells on an AS IS, WHERE IS basis. Sales tax will be charged on all sales in Florida unless buyer provides a current 2019 Sales Tax Certificate. All items must be picked up at the auction site the day of the sale or by 2/21/19. NO EXCEPTIONS! Shipping Instructions: Arranging and payment for pick up of items is the buyers responsibility. All shipping and handling fees and arrangements are the responsibility of the buyer. Ewald Auctions does not pack items or deliver to shipping agents. Buyer is responsible for packaging, shipping and handling fees. ALL items must be picked up at the auction site the day of the auction or by 2/21/19 NO EXCEPTIONS! Items that are not picked up by Wed following the auction are forfeited. Preview Date & Times: We tried to describe the items to the best of our knowledge. The auction items are strictly sold on an 'AS IS, WHERE IS' basis. Inspection on-site will be from 9-10am on the day of auction or by appointment. Checkout Date & Times: All items must be picked up at the warehouse or shipping arranged by the Wed following the auction. TERMS AND CONDITIONS OF THE AUCTION Everything sells to the Highest Bidder, Regardless of Price! Everything sells on an AS IS, WHERE IS basis. ALL assets to be offered in BULK and individually, with the highest method of sale being final! 16% Buyer's Premium on all online sales. Payment is by Visa or Mastercard (All sales are final! No Chargebacks!) Payment on vehicles is by cash or cashiers check only. No credit cards will be accepted on titled vehicles. Payment is due immediately following the sale. Arranging and paying for pick up, shipping and handling is the buyers responsibility. All sales are final! No chargebacks! ALL items must be picked up at the auction site the day of the auction or by 2/21/19 NO EXCEPTIONS! Any items not picked up by 2/21/19 are forfeited. All assets to be offer in bulk First, and then sold individually, with the HIGEST METHOD OF SALE BEING FINAL! INTAGIBLES INCLUDE: Any and all rights we have to the Name, Website Address, Phone Numbers, Customer Lists, and our rights to the version of the rental program Sirius from Orion Software out of Canada (which will include one computer with program on it). Features and Notes: Runs and drives good, nice truck. Features and Notes: Rough exterior, runs and drives.